192 pages | 5 Color Illus. | 189 B/W Illus. Engineered Repairs of Composite Structures provides a detailed discussion, analysis, and procedures for effective and efficient repair design of advanced composite structures. It discusses the identification of damage types and the effect on structural integrity in composite structures, leading to the design of a repair scheme that focusses on the restoration of the structural integrity and damage tolerance. This book teaches the reader to better understand effective and efficient repair design, allowing for more structurally effective repairs of damaged composite structures. It also discusses the application of the repair and what is needed in the forming of the composite repair to meet the engineering design requirements. 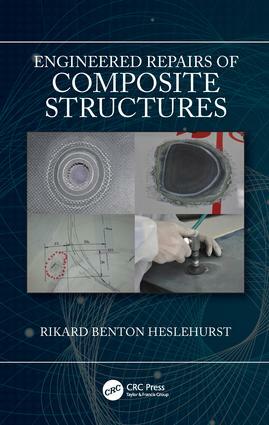 Aimed at materials engineers, mechanical engineers, aerospace engineers, and civil engineers, this practical work is a must have for any industry professional working with composite structures. Rikard Benton Heslehurst, PhD (UNSW), is a former aeronautical engineering officer of the Royal Australian Air Force (RAAF). He is now the CEO and director of his own RDT&E company, Heslehurst and Associates Pty., Ltd. in Garran, Australia and Chief Engineer for M51 Resources Inc, Dallas TX. Rik recently retired as a senior lecturer with the University of NSW at the Australian Defence Force Academy, Canberra (currently is an honorary academic), and formerly the senior engineer at Abaris Training, Reno NV. Rik is a Chartered Professional Engineer, a Fellow of the Institute of Engineers, Australia, a Fellow of the Royal Aeronautical Society and a SAMPE Fellow.